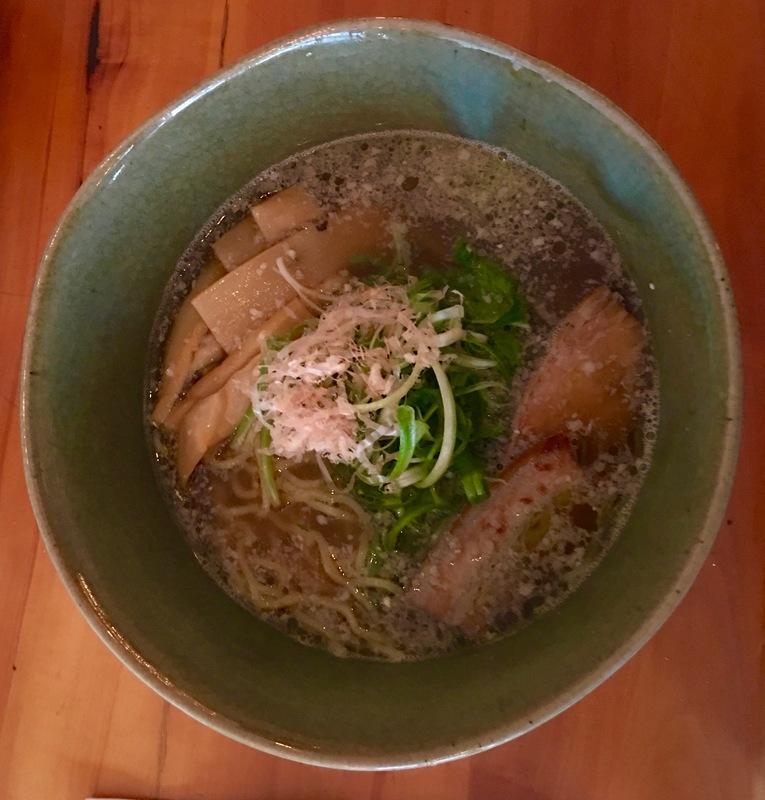 An authentic ramen shop featuring oyster bar and very innovative cocktails opened in Hamilton Heights. At the corner of 141st Street and Broadway, “R.O.K.C. Ramen” has the wood framed windows and traditional printed fabric screens called Noren out front that shows the sign of the real classic Ramen-Ya yet it looks very modern and stylish. 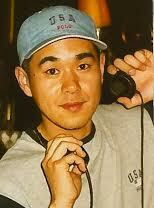 The name R.O.K.S. stands for Ramen + Oyster + Kitchen + Cocktails, the concept of the shop. 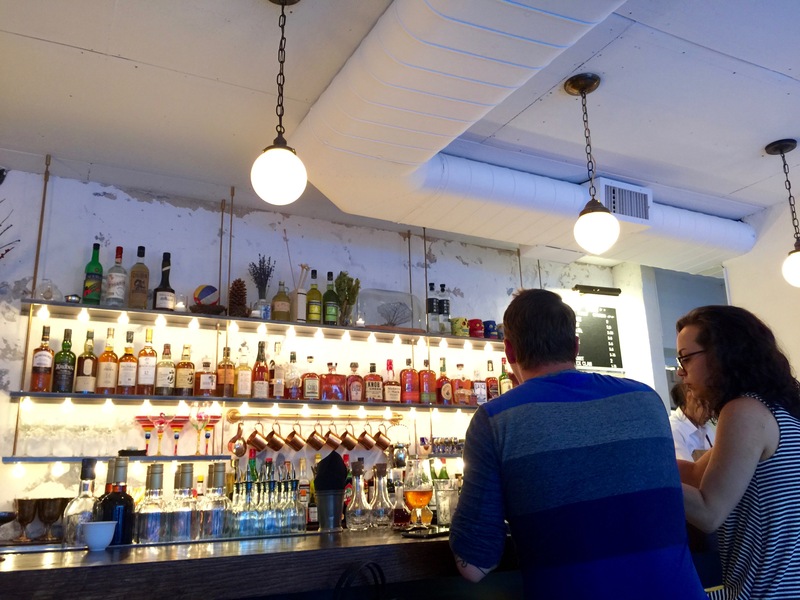 This is absolutely one of Hamilton Heights (West Harlem) best new hotspots. Oysters, Cocktails & Ramen……..? 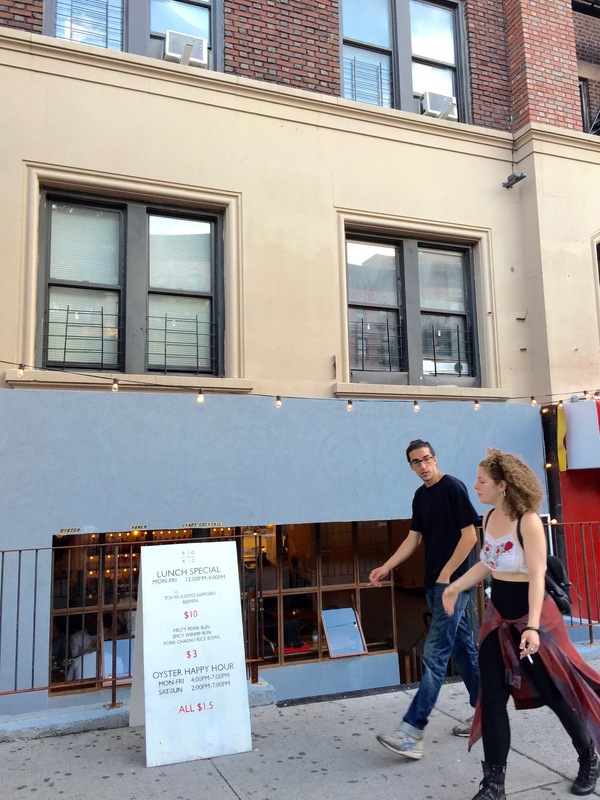 I thought it was a bit unauthentic but when I learned that the owners had both worked at the renowned East Village speakeasy, “Angel’s Share,” I felt it really made sense. They serve no plain food. 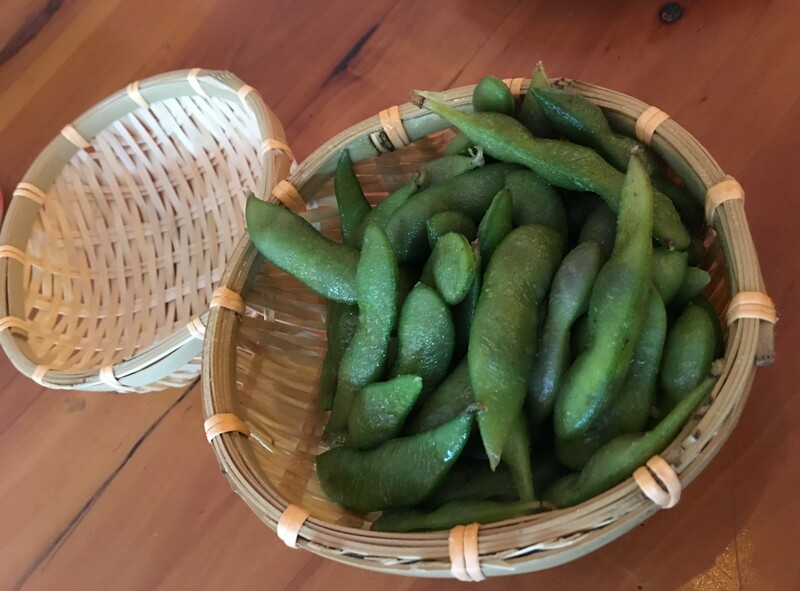 Their Edamame is infused with a touch of Yuzu! The Kyoto ramen is very good with a mix of fish broth and chicken broth. 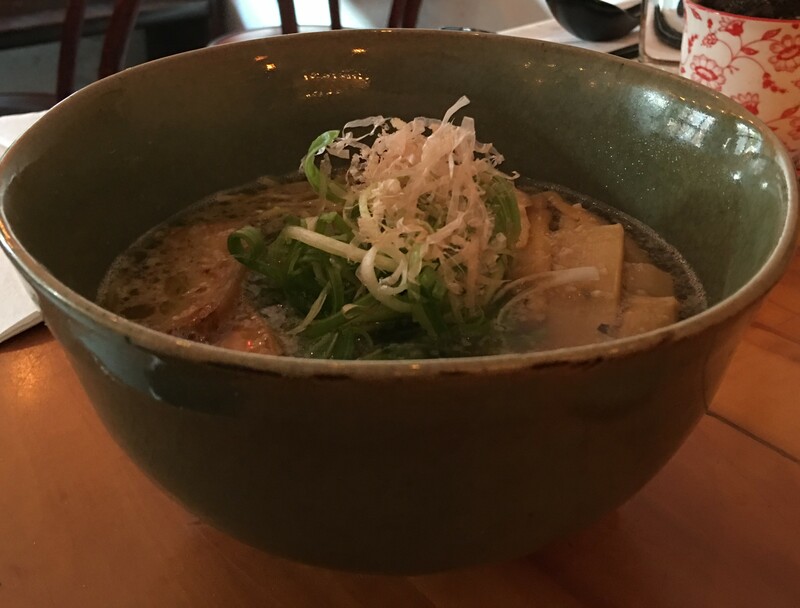 The Tokyo ramen is soy sauce flavored fish based broth topped with pork-belly, garlic oil, bamboo shoot and mizuna. 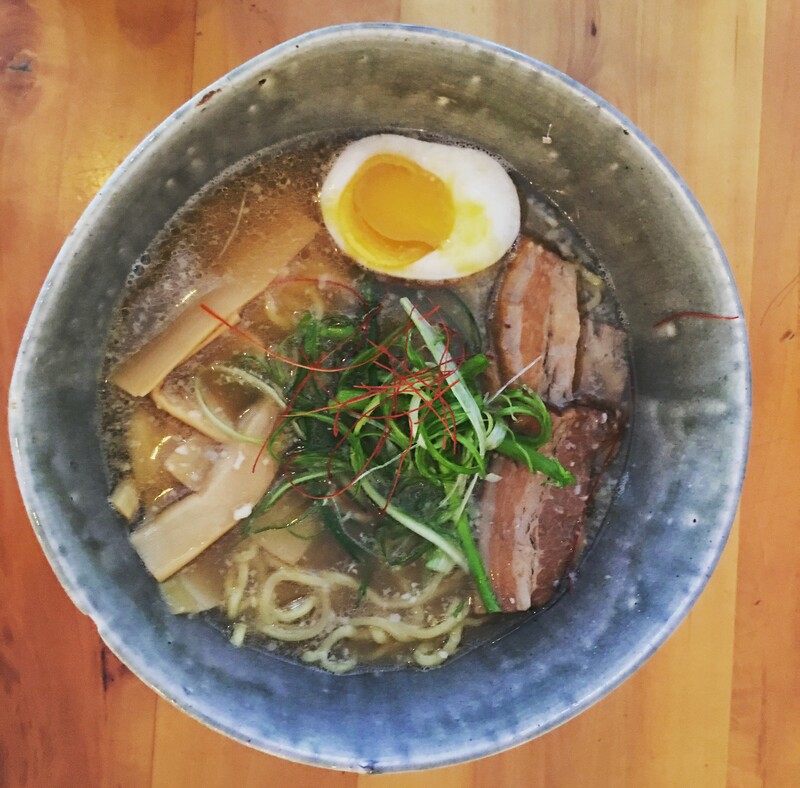 Not only is the specialty ramen spot the place to go in Hamilton Heights for soup noodles but now crafted cocktails are in the mix. 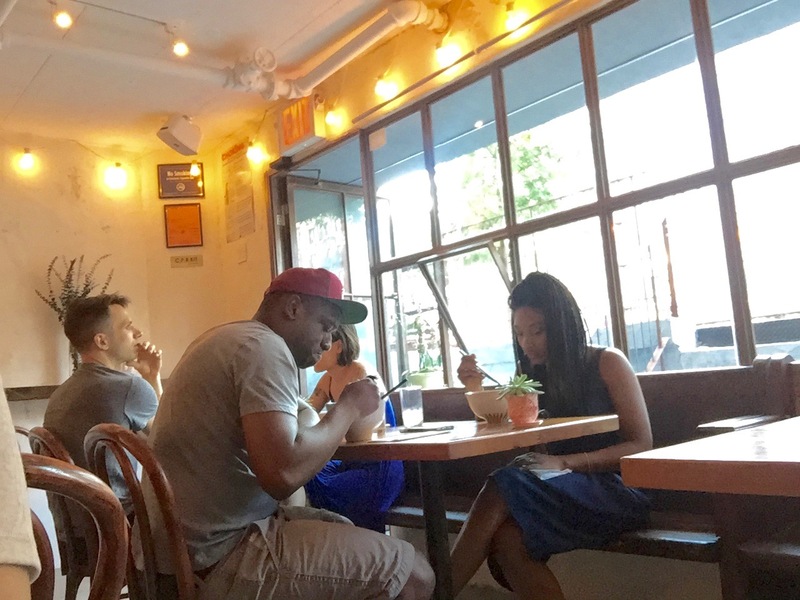 This entry was posted in Brunch In Harlem, Restaurant, Shop, Uncategorized and tagged Angel's Share, Cocktails, Hamilton Heights, Kyoto, Oyster Bar, R.O.K.C., Ramen, Sapporo, tokyo, west harlem, Yuzu. Bookmark the permalink.